Costco is closed across Canada tomorrow for Labour Day (checkout their holiday closures here) so I hope everybody has enjoyed their summer (despite the fire situation here in BC). Since Costco is closed tomorrow, I’ll be posting pictures Tuesday evening instead! I have been following Costco Canada’s Facebook page for a while now, and I have been taking note of some of the responses they have provided to specific comments. If I noticed something an interesting question and answer, I saved it for a post like this! The nice thing about these answers are that they are official answers from Costco as opposed to other “answers” you hear from on the Internet. Q: Why doesn’t Costco have express lanes? Q: When will Costco be bringing back Kirkland Signature Protein Bars? Q: Why don’t you advertise all your sales items? 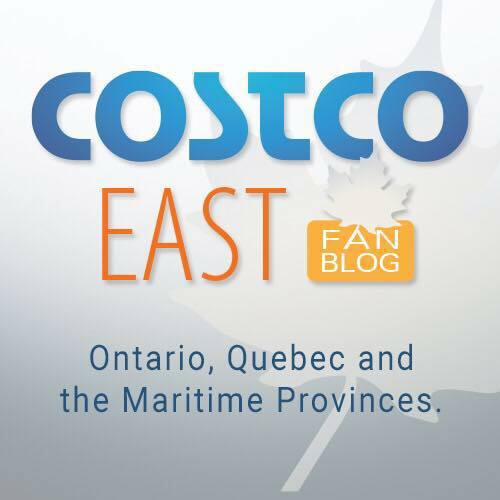 Q: Why doesn’t Costco carry more ‘Made in Canada’ products? Q: Why is Costco open on some statutory holidays? Q: Can you tell me if a new Costco Warehouse be built in my town? Q: Why don’t you carry a larger variety of products? Q: What are my options if I decided I don’t like a product you have sold, but I have already opened the package? Q: I would like to work for Costco. How can I apply? Q: You packaging to product ratio is high? Can you please use less packaging in your products? I purchased memory foam pillows, that we ended up having and now they are just sitting in a pile. I threw hmout the boxes they came in and I’m not sure I have e the receipt. Can I still return them you think? If you purchased it on a Costco card you an return them still. They will scan you card and verify that you purchased them and that’s all they need. Boxes are not required for returns and neither is the receipt, as long as the item was purchased on your Costco card. You don’t need your receipt. If you bought it on your account they will have it on the computer. I have returned items without packaging before. As stated, if you bought with Your membership card, it can be looked up. Those long lines at the Return Counter are usually because you don’t have a receipt and they have to look up an item number and look through your shopping history. Think about it. Do everyone a favour and KEEP YOUR RECEIPTS! Wel we will have to agree to disagree on a express lane. I come in the majority of times for only 1 or 2 items & the line ups are up to the shelving with overflowing carts. When is your cachemire sweaters sale ? I dont come in for 2 items anymore, too bad as your prices are so good. Carts full are good and and lines are too long. Prescription pickup first thing jn a,m, is fine. Why don’t we have the chicken bake or fruit smoothies at the food court in Canada? Thanks! I bought those Kirkland sheets and looked the softness a lot but within 2 months of using washing a few times it started tearing, I felt terrible as I had waited long time and bought them finally on the yearly sale. I had no hope but after 3 or 4 months I bitterly tweeted to Costco about it and they immediately replied requesting me to return it for a refund. No box, no bag, no receipt, I had nothing – they just asked me to make sure all the pieces of the set were there regardless and they took the items without a word back. I am definitely Impressed!! Like any retailer Costco is less than honest when answering some questions. In my opinion the reason they don’t have an express line is because they don’t want people leaving with a small number of items. They want everyone walking out with a full shopping cart. It’s to their advantage that this should happen. Similarly you don’t find the hand carry baskets which other stores have because again they want everyone walking out with a full shopping cart – but of course if the question is ever asked they are never going to give this answer. To me, if you look at a typical Costco line, they are right that the actually scanning of the products takes very little time. Even for those with a larger number of items the number of items is small compared to a typical grocery store (where you buy a large number of very small items). It literally takes seconds to scan each item and there are 20-30 items to scan in a packed cart. An”express line” for 12 items or less would save a very small amount of time for a very small amount of customers, but would cost a larger number of customers more time (as the two people manning the express lane would only serve a smaller number of customers). Why would you have two people manning an express lane? You only need one. You don’t need to take the items out of the cart. 12 items – if that – can be easily spread out in the cart by the customer and quickly and easily scanned by the one cashier. It can be very efficient and the single cashier easily offsets the disadvantages. Our Costco used to prescan our items and that seemed to speed up the check out. I wonder why they stopped. Too efficient….after all, it seems according to Costco, shoppers love to wait in line because of the “Costco experience”. The shorter hours make their customers appreciate Costco even more /s. I wonder if the Kirkland original (the non-organic) maple syrup will be back to stock again. I tried the organic one, but the maple taste is less rich and too sweet compare with the old one. Tried other brands from different shop, but still the Kirkland original (non-organic) one is the best! They don’t take everything back without question. We tried to take back a pair of sunglasses that we bought that were defective and they wouldn’t let us. We didn’t have a receipt but did buy them at a Costco. When will you be bringing back Kirkland frozen 5 cheese ravioli? This is a fabulous product and I know lots of people who would be happy to have it in our Winnipeg kenaston store..
Rule is if you are in a really big hurry, take a chance at Costco or go to another store, go through the self check out line, pay higher prices and by using self check out give the store more profit as they can cut down on staff. Your choice. Better yet. Only by local and Canadian made if one has extremest thinking. They’ve been so sketchy about the damn Kirkland protein bars. I wonder what the real story is!